Hey everybody, we are just starting our blog for Fotor.com and this is our first post. So let me introduce ourselves. Fotor.com is a website that provides online photo editing software and its now free. No strings attached, just free. Our features include basic photo edits, our very own 1 tap-enhance, HDR, color splash, 56 unique filters, collage, text, frames, and overlays. Our photo editing software features are useful and quite unique. Still though, what exactly are we and why should you use Fotor.com? Imagine you spend the entire weekend taking a bunch of pictures with your camera and you just oploaded them to your computer. You have two choices right now. One, you can leave them on your computer or maybe upload them to Facebook. Option two, you upload them to fotor.com, edit your pictures with our many easy to use features and voilà, now you have amazing pictures to share with your friends and family. You can make a photo collage or edit your photos to be more beautiful or funny. With fotor.com you can get the best out of your photos. So its very easy. Go to fotor.com, upload your pictures, edit them with the same basic features as Lightroom and Photoshop, save them to your computer or share them on Facebook and then you’re done. Well that’s all we have to say for now. Take care and good luck! P.S. 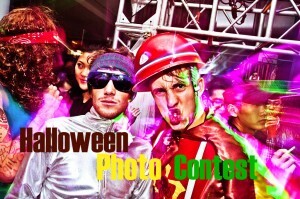 Check our Halloween Photo Contest on our Facebook page, Fotor App. You have until Friday. Cheers! Magic Clipper – Instantly remove photo backgrounds!